Vixen UK » Major Tim Peake’s Mission to the ISS in 2015! Major Tim Peake’s Mission to the ISS in 2015! It has been confirmed that British ESA Astronaut, Major Tim Peake, will be the first (official) British Astronaut to fly on a long-duration mission on the International Space Station in November 2015. Other Brits have flown to space. Sheffield-born, Helen Sharman was the first Briton in Space, she flew as part of the privately funded Juno Mission to the Mir space station on a Russian Soyuz craft in 1991. Other British astronauts have been to space, but they were dual nationality and flew under the American Flag: Piers Sellers, Michael Foale and Nicholas Patrick. Tim will be the first officially trained astronaut to be flying the British flag in space! Tim Peake is a former Army helicopter pilot and old boy from Chichester High School for Boys. He served in the British Army for 18 years before beating more than 8,000 other hopefuls to be accepted into the European Space Agency. CASSiE‘s recent trip to the European Astronaut Centre, in Cologne, Germany, where Tim was her host and guide, brought to her attention the immense amount of training and preparation he has had to go through before being chosen for this mission! We will be following Tim’s progress closely and wish him the best of luck in his preparation for his momentous flight! 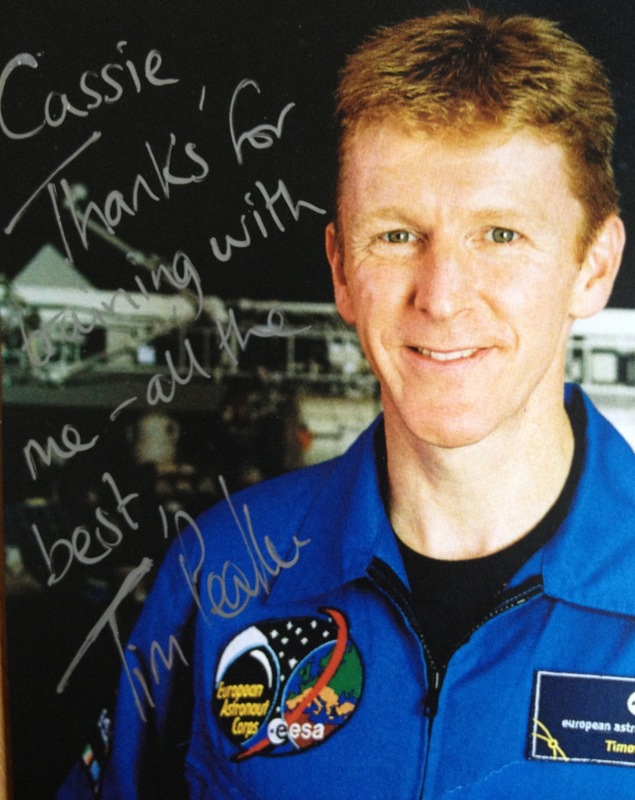 Tim’s mission is also extremely important to the UK’s space community, I hope that the news of his mission into space will excite and inspire many UK school children. The Space Race may be ancient history for many young children, but Tim’s flight is the beginning of a new history of Space Exploration, one I hope to be able to promote and encourage young children to be a part of too! Other articles about Tim’s Mission.